If you're after the security of a four-wheel drive but you don't want a full-blown SUV, this could be just the ticket. The Forester offers all-wheel drive traction and enough ground clearance for some light off-roading, but it isn't as obvious as a conventional 4x4. Even better, complete reliability is guaranteed - just make sure you can afford the fuel bills. 10/02: The second-generation Forester arrives, with a choice of normally aspirated or turbocharged 2.0-litre petrol engines. 2/04: The special edition Forester XLn arrives, with sat-nav and leather trim. 9/04: The Forester XT debuts, with a turbocharged 2.5-litre petrol engine. 3/05: The special edition Forester S appears, with sportier interior trim than standard. 5/05: A Prodive Performance Pack is now available, which boosts power to 252bhp. 8/05: The Forester gets a facelift with more power and revised suspension plus a refreshed front end design. Gear linkages can play up, so check that you can get all the ratios. Clutches can also be weak, so make sure there's no slip. 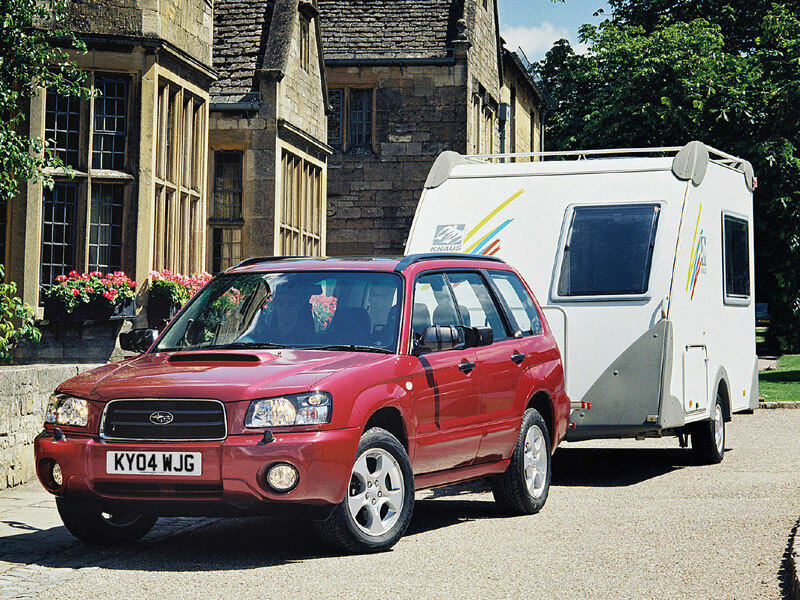 The Forester is popular for towing, especially among caravanners; if there's a tow bar fitted, make sure the clutch and brakes haven't worn out. The generous ground clearance and four-wheel drive means off-roading is sometimes undertaken by Forester owners. That's why you must check the car's underside for damage. The leading edge of the aluminium bonnet gets chipped very easily, so keep an eye out for paint damage or smal dents.